Many Projects survive on as little IT as the standard Office software suite, a shared file server and an email system. However there are IT Applications which may enhance your Project execution which you might want to consider. In this post I examine some different categories of applications, some examples and whether I have had any experience to share or not. I will no doubt update this post when I learn some more from your experiences! I have attempted to segment applications by broad category but very often the boundaries are blurred as capabilities are enhanced in each application! All projects need a well organised Project File - see my previous post on the subject. While a shared file server can do the job, one application is now heavily used to enhance the capabilities - SharePoint. This allows document check-in/out, version control and can be used to create a common site for Project team collaboration with a little effort and use of web parts. Organisations running a number of change projects should establish a standard design so there is a commonality between projects. 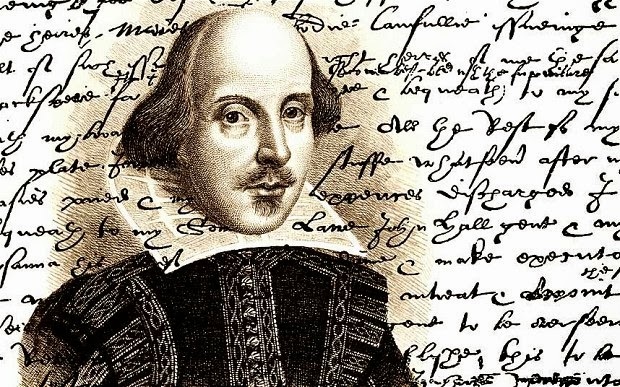 There is blurring between my categorisation as several applications in the "collaboration" bucket seem to provide Project Files, so read down! To undertake critical path analysis, you need some IT support. Microsoft Project is probably the most frequently observed tool, in my experience it is good on user interface and presentation but in versions I have mostly used (v2003), it lacks something in effort based scheduling. 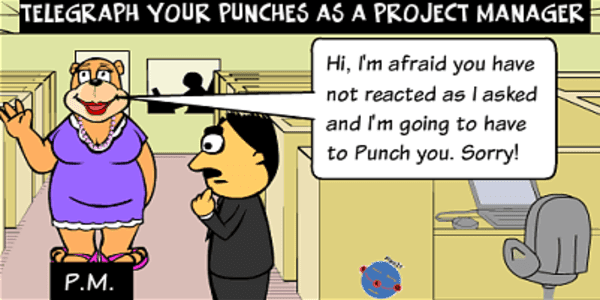 I started life with Project Manager Workbench (PMW) which had a very good effort scheduling engine but lacked a good user interface. It seems this has moved into an open source application Open Workbench but I don't have experience of it. In this category I include any applications aimed at supporting the running of Projects and Portfolios of projects. These can help support / enforce a Project Management methodology, provide templates and centralised reporting both for an individual project and a portfolio of projects. I actually ran a Project to introduce ABT across 450 users so appreciate the power of the toolset but these only work if there is considerable effort in establishing processes around the tool, training and ongoing policing (typically by a PMO). The same goes for Project Server which I come across in a number of client sites. "Traditional" Collaboration Tools help the project team communicate better and hopefully cut down on email traffic which is a danger in project teams - see my post on this. Things like wikis can be quite useful and I refer you to the most popular wiki, Wikipedia for a comparison of wiki applications including some open source. I have separated out collaboration tools which are more Facebook inspired. Again, these promise reduced email traffic which is no bad thing but I haven't seen any in operation. Yammer seems to be gaining popularity. Says their site, "Yammer is a private social network that helps you and your teams stay on top of it all. Yammer team collaboration software and business applications allow you to bring your team together so you can have conversations, collaborate on files, and organize around projects so you can go further – faster"
Trello I've heard, is a great tool for managing requirements / scope especially in an Agile environment. I've had a play but not actively used. Taiga is open source and describes itself as a Project Management platform for Agile. 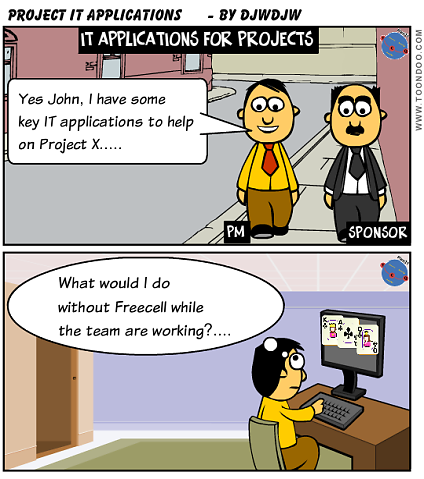 I have just scratched the surface of applications which may be of use to your Project team. The world is moving so fast that the examples listed and even completely new classes of applications can be considered with significant cross-over between the categorisation I have attempted. However I want to remind you that change isn't easy to achieve so bear in mind that by introducing completely new applications into your project team you run some risks of actually slowly down progress which clearly isn't the aim of the game! Plan for this eventuality and persevere to get the benefits. 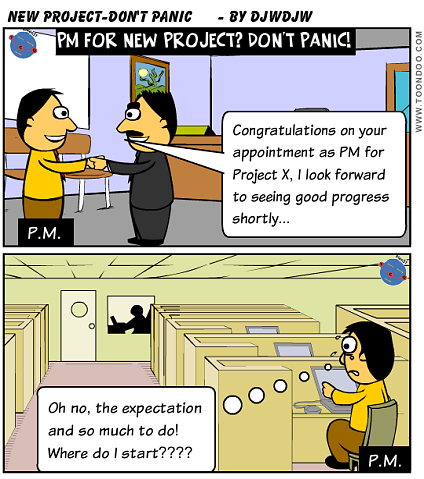 Appointed PM for a new Project? - Don't Panic! Congratulations - you are given the role of Project Manager for new Project X with likely stakeholder pressure to get going quickly.You then go back to your desk and may start panicking as you say to yourself, "where do I start?" "there is so much to do!". In this post I will take you through a check-list of things to consider in start-up / initiation linking to other posts to drill into some of the detail. What are you given to start? So if you don't have this information you need to plan to obtain this as soon as possible. In terms of stakeholders, the most important is the Project Owner so if none is evident, this is certainly something to address as soon as possible as the Sponsor is a key stakeholder to interview to enable you to confirm firm foundations for your Initiation. Have a read on my post on the Sponsor / ownership Board. The output from Initiation is some sort of Definition document which is the contract between the Project Manager and the Project Owner. So in line with my post on Product Descriptions I suggest that, should you not be using a standard template, you agree what are the headings of this document which you will need to complete and this will start your mind thinking about how to populate the content. Have a read of my post on Project Definition which gives you these headings. Whether all of the following can be achieved in one week depends on the scale of the Project but hopefully you can adjust accordingly! Who will be using the final projects products once they are handed over? Why should this project be started, and what is the justification for it? 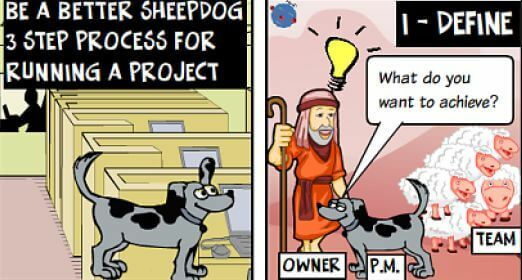 Who will need to be involved to deliver the project? Whereabouts will the project occur, and where will the products be built?How will the products be built? What general approach will the project take in order to deliver the end product? 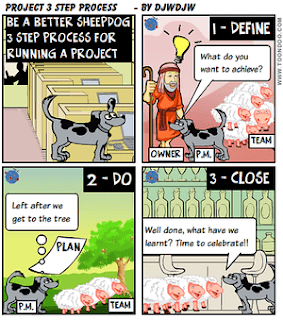 When and why must the project start and finish? Have the constraints been identified e.g. budget, particular solution? Is there a definition of in and out of scope aspects? Have the stakeholders been analysed? In terms of ownership should a Project Board be created and who fits roles of Senior User(s) and Senior Supplier(s)? What is the Communications strategy? Has a risk analysis been undertaken? Have the costs of the Project been defined? Is the Business Case sufficiently defined at this stage to justify the spend that will be requested? 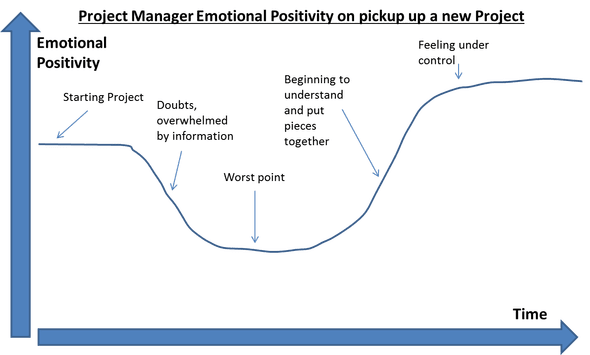 Emotionally you may be faced with a dip in your emotional curve when you pick up a new Project. There is a lot of information and questions to process and you may feel overwhelmed for a while. This is sometimes called the emotional pit of despair. All that I suggest is that you continue in a methodical way to work through the information, questions etc in front of you and in a short period of time you will come out the other side as shown in the graph below. Good luck!